Just because you can squeeze a Cheese Burger into your daily macros doesn’t mean it’s the right choice. We have broken down the macros of 45 different healthy food options to make it super easy to hit your target macros while staying healthy. What is the best protein and why. Why Milk could be your best option for a quick protein boost. Our top 5 “On the Go” proteins. The number 1 carbohydrate to fuel your body. Why Chocolate is one of the best fat options around! 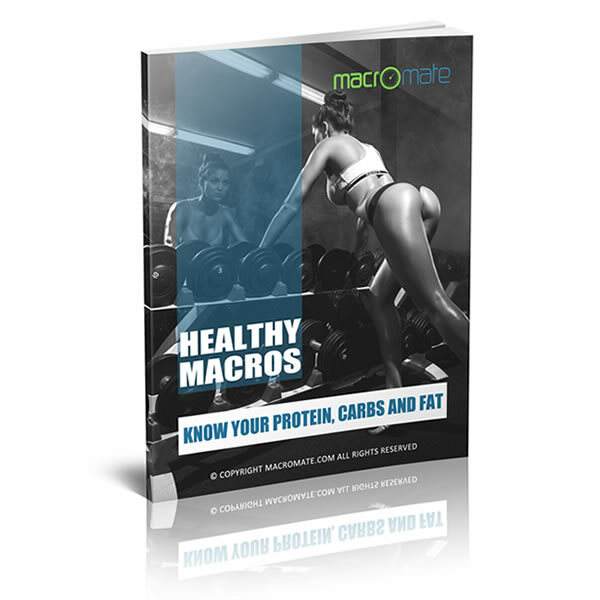 Healthy Macros is your total solution to hitting your macros while getting all the vital nutrients to keep your health and energy in order. “I’m not a fan of the whole IIFYM concept where people think they can eat refined carbs, pizzas, pies and because they are hitting their macros they think it’s healthy… This is DEAD WRONG and I love how the Healthy Macros guide shows the real way to eat while hitting targets” – Allen P., Florida. “I worked out my macros using your calculator and now plan my meals around the food in this guide. It’s made my meal prepping much easier” – Fran D., UK. “I love this healthy eating guide. I’ve been using the recommended food options for 3 weeks now and I have far more energy than before. This is how everybody should be meal prepping!” – Mark C., Los Angeles. After you get your copy of “Healthy Macros” I would love to know your thoughts! Get your copy now and start your meal prep using healthy options. You’re going to feel MUCH better for doing so! This is a downloadable product so there is no waiting for shipping and you can start using the product in just seconds from now. Mobile and PC compatible!